The antenna was developed in conjuction with, and will be manufactured by Mitsubishi Electric Corporation. 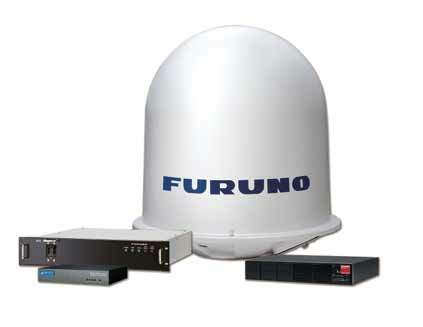 In partnership with Speedcast and Eutelsat, Furuno have announced the release of their own 1m Ku-Band VSAT terminal. The Furuno SafeComNet service will use SpeedCast and Eutelsat's 15 Ku-band satellite beams which it will be offering with the antenna. The antenna is capable of Automatic Beam Switching(ABS). 19236 visits to this page since 28 Nov 2012.